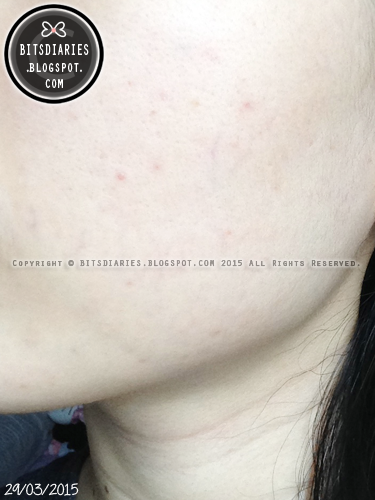 BITSDIARIES about BEAUTY & ACNE: [Acne Story] #04: Update on My Acne Journey — "Pre-Period Breakouts!" So 2 weeks ago, I ended the post with the pictures taken on 28th March 2015 and the following pictures were taken on 29th March 2015. 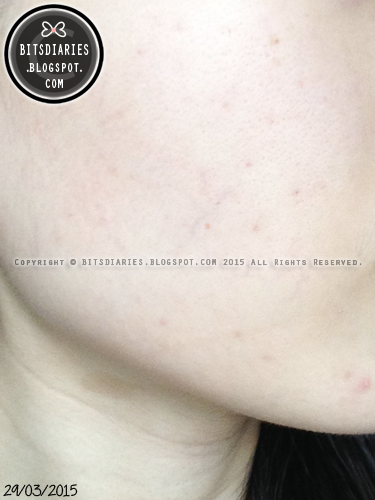 Since 8th April 2015, I have been getting very mild pre-period breakouts. It's actually something I have expected it to happen because I would always get a breakout the week before my period. 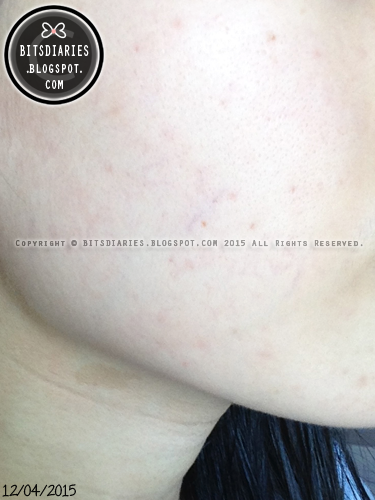 Thus, I wasn't taken aback on the breakouts. As of today (12th April 2015), there are 2 humongous, angry, inflamed, pus-filled zits growing on my left jawline, which I believe they will be ready to "harvest" in a few days time. They are painful to the touch by the way. I hate this kind of pimples! While on my right side, there are 1-2 minor zits near the top area of my cheek which the camera could not capture them well. There isn't much issue on this side though. Aside from pre-period breakouts, my post acne marks on both sides, from before, have lightened quite a bit and some have disappeared. So here are the pictures for today — "fresh" pictures just taken this morning. 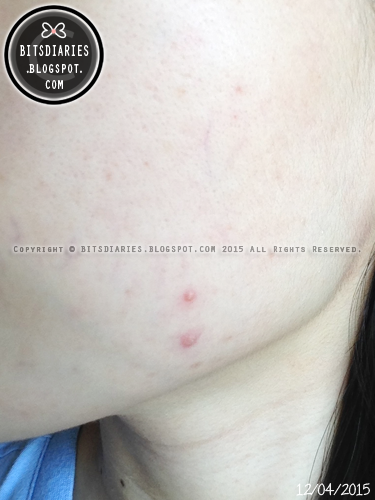 If you are one of the acne sufferers out there, don't give up hope. Let's fight acne together, yeah~? - Diet: Eat healthily~ e.g. avoid spicy, greasy, fried & junk foods, drink more water etc. - Exercise~: I've been working out on a routine basis starting from last monday. If you have any question or request, feel free to ask/leave a message at ask.fm/bitsdiaries. Stay tuned for my next update.